Sanders and Clinton are right to oppose the TPP, and the Democratic Party should do the same. Any answer to Trump should include a pushback against the lies he tells, which are strikingly similar to the lies that the more nefarious of the Leave campaigners told before the Brexit vote last Thursday. Hillary Clinton’s campaign is using Trump’s unsettlingly bizarre response to the vote—made as he was celebrating snack-bar options at his golf resort in Scotland—to stir further doubts about the faux populism of a man who has never been on the same side of any issue for long. But it has to go beyond that. The Leave campaigners in the UK succeeded because there are millions of working-class voters—many of them in the left-leaning “Labour heartlands” of northern England—who know that globalization has not worked for them. Well, there are millions of Americans in battleground states such as Ohio, Michigan, Missouri, Indiana, Pennsylvania, and North Carolina who know that globalization has not worked for them. Congressman Keith Ellison wanted Democrats to take a strong stand against the TPP. That has not happened—yet. While a substantial portion of British voters blamed the European Union for the misery of austerity and deindustrialization, a substantial number of American voters blame the misery of austerity and deindustrialization on free-trade deals like the North American Free Trade Agreement, permanent normalization of trade relations with China, and the proposed Trans-Pacific Partnership deal. There is broad agreement with the assessment of groups such as Public Citizen’s Global Trade Watch and the Citizen Trade Campaign, which have explained that corporate-friendly free-trade deals have harmed workers, farmers, small-business owners, communities, and the environment. This is one of the reasons TPP-critic Bernie Sanders ran so well in the Democratic primaries, and Clinton (who once praised the TPP) now says she is opposed to the agreement. The shared anti-TPP stance of the two Democratic contenders led to speculation that the Democratic platform, as drafted by a 15-member committee made up of Clinton backers, Sanders backers,and others, might formally line up the party in opposition to the agreement. When the platform-drafting committee took up the issue in St. Louis last week, Congressman Keith Ellison, the Minnesota Democrat who serves as a cochair of the Congressional Progressive Caucus, proposed to add language rejecting the trade deal. But the proposal was defeated, after Clinton-allied drafting committee members said they did not want to go on record against a deal that has been backed by President Obama. Ellison, who was one of Obama’s first backers when he ran for the presidency in 2008, says, “I am disappointed that my amendment to take a strong stand against the Trans-Pacific Partnership—a position shared by both Secretary Clinton and Senator Sanders—was not included.” The congressman argues that it is vital to take a strong stand against the TPP, and he is encouraging the full platform committee to adopt his anti-TPP amendment when it meets in July. ﻿In light of the Brexit vote, the character and the quality of the Democratic response to Trump becomes critical. That argument should be strengthened by reflection on the news from Britain. The Brexit vote is just the latest signal that voters have not just soured on the rough mix of globalization, deindustrialization, and austerity that can be traced back to Margaret Thatcher in Britain and Ronald Reagan in the United States; they are now casting votes based on that opposition. Wealth has been redistributed upward, wages have stagnated, inequality has accelerated. And voters are saying “stop.” They are not doing so only in Britain. In the United States, opposition to failed trade policies in general, and to the TPP in particular, played a critical role in helping Sanders secure big victories in Wisconsin, Michigan, Indiana, and other states where he was able to focus the debate of economic fundamentals. Clinton has recognized this and spoken with increasingly specificity about her opposition to the TPP—going so far as to declare her disapproval of proposals to organize a post-election vote on the measure by a lame-duck Congress. 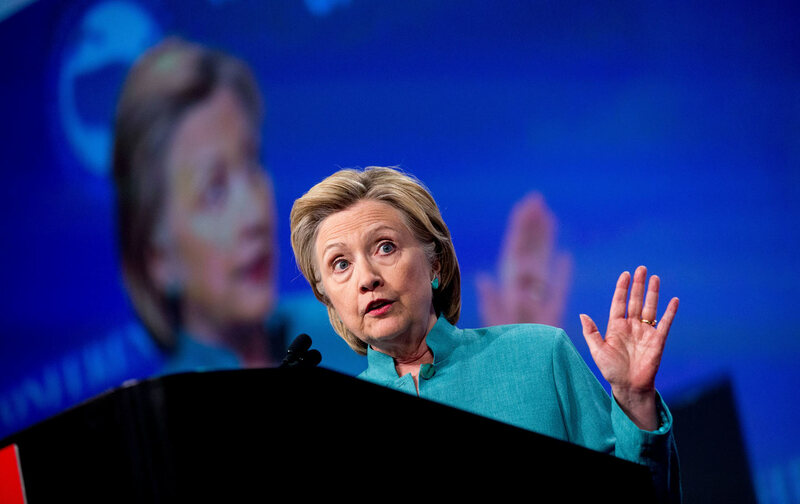 “I oppose the TPP agreement—and that means before and after the election,” she declared in May. “It is hard for me to understand why Secretary Clinton’s delegates won’t stand behind Secretary Clinton’s positions in the party’s platform,” says Sanders, who has said he will vote for Clinton in her race with Trump but argues that the platform must be strengthened in order to better position Clinton to beat the presumptive Republican nominee. In light of the Brexit vote, the character and the quality of the Democratic response to Trump and Trumpism becomes all the more critical.